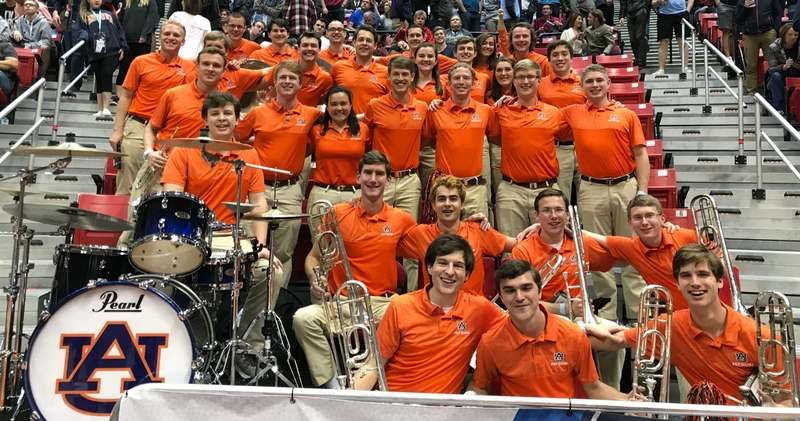 The Basketball Pep Band, directed by Dr. Corey Spurlin and Dr. Nikki Gross, is a select group of brass and percussion players that perform at all men’s and women’s home basketball games, as well as NCAA and SEC tournaments. Members are chosen by audition in late September from the marching band membership. One hour of academic credit is awarded for participation. This credit may be used as an elective in any curriculum. 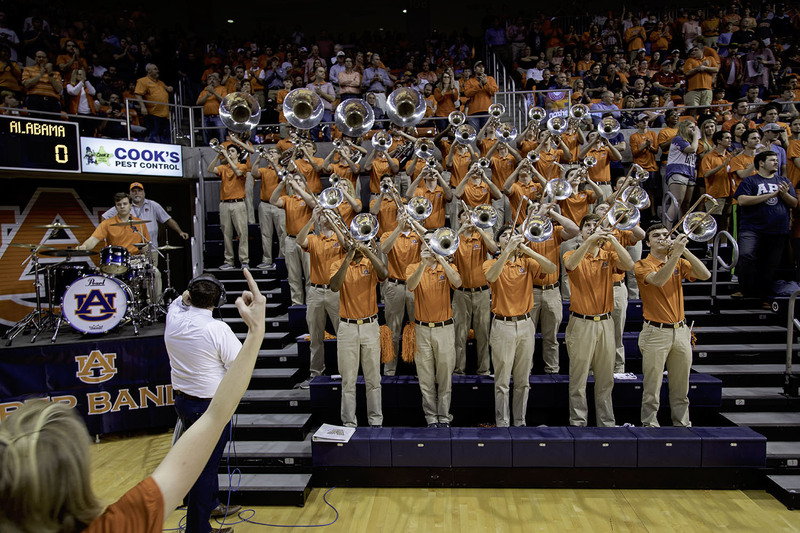 The Basketball Pep Band is divided into two groups — the Orange Band and the Blue Band — of 30 players each. 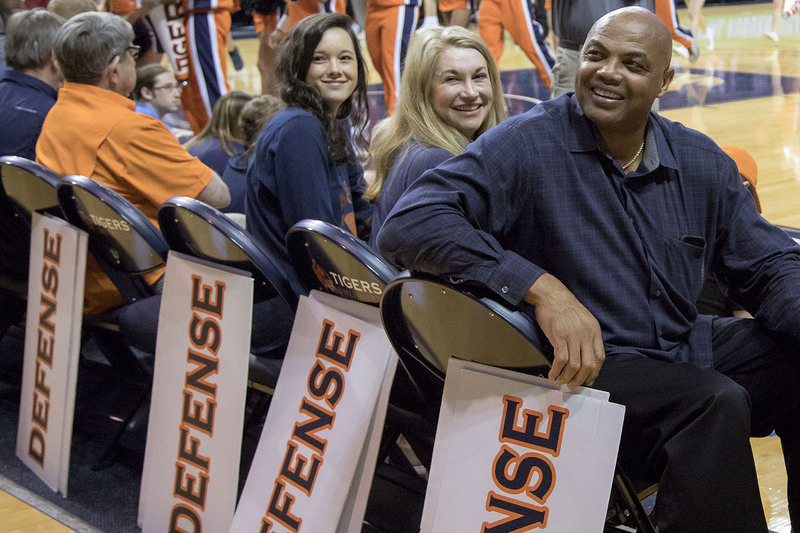 These two groups generally alternate performances at men's and women's home basketball games. 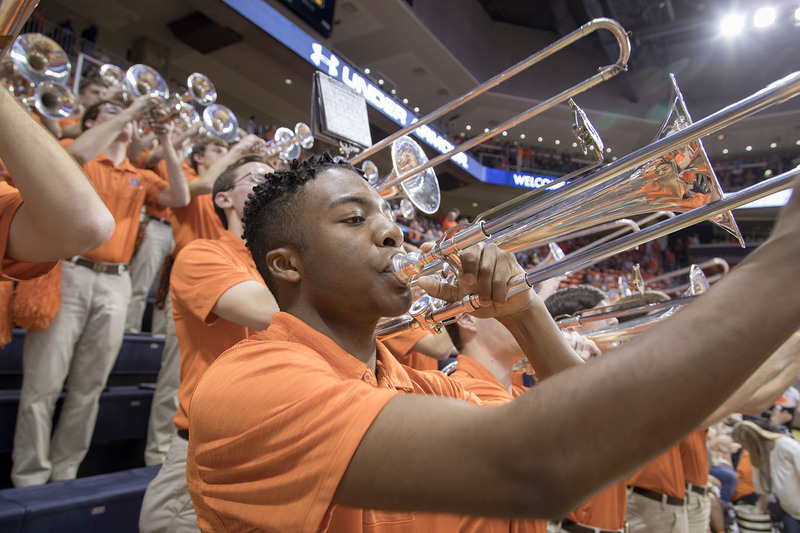 In addition to supporting the basketball teams, the pep band offers students a chance to travel with these teams to post-season tournaments. Recent travel includes trips to San Diego, California; Austin, Texas; St. Louis, Missouri; Nashville, Tennessee; and Greenville, South Carolina along with previous trips to cities such as San Francisco, New York, Waco (TX), Indianapolis, Chattanooga, New Orleans, Seattle, Boulder (CO), Stoors (CT), Memphis, and Ruston (LA). For more information on the Basketball Pep Band contact Dr. Corey Spurlin.